When activating Windows Bitlocker on a new Thinkpad laptop, there is an error: Invalid namespace. You can use the command "manage-bde -status" to get the BitLocker status on the machine. 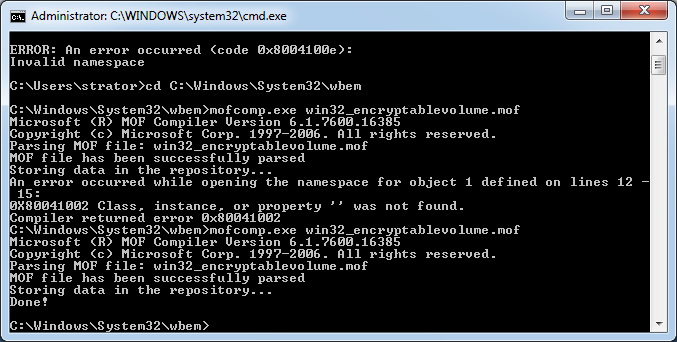 Basically, an invalid namespace error indicates that the namespace you are trying to modify is not exist in WMI. 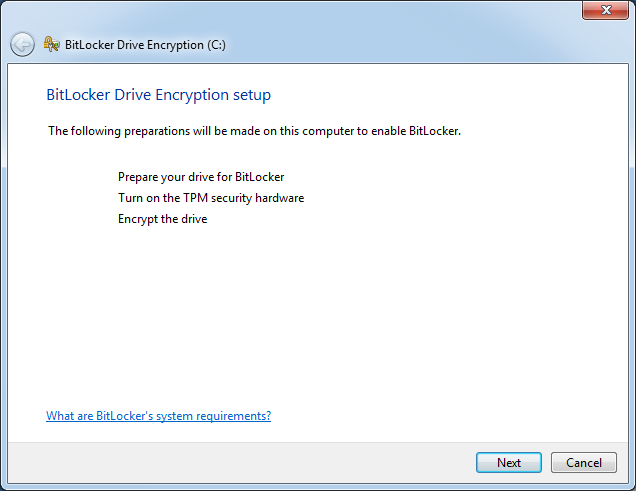 To solve this issue, we can re-register the BitLocker WMI (win32_encryptablevolume) class. Error 2:Class, instance, or property '' was not found. Some people will receive another error: "Class, instance, or property '' was not found." This time, we need to rebuilding the WMI Repository. 1. Save the below code to a notepad, and save it to "Repository.bat". 2. Right-click the bat file, choose "Run as Administrator"
Finally the Bitlocker run success.